A diamond’s “certificate” is its grading report. Knowing which lab issued that report is important, since diamond grading is not standardized or regulated. For example; a diamond reported as F in color at a known “soft” lab might receive G, H, or lower at a more reputable lab. Some labs don’t report all measurements. Some give no description or grade for cut. These differing standards and practices can be confusing for consumers. Diamond manufacturers are smart and take advantage of the discrepancies. To maximize revenue they send average diamonds to labs with soft standards, higher quality diamonds to stricter labs and a fraction of their most elite production to be judged by labs that enforce the highest standards. Grading reports for diamonds sold in mainstream markets are often issued by labs with soft standards. Chain stores and discount outlets have huge contracts with these places, so lenient grading is beneficial to everyone involved – except the consumer. Some labs even issue a “suggested replacement value” on the report which is high above the price the store intends to charge. Salespeople may present the diamond to shoppers as if it is a “great deal.” This type of arrangement goes against the purpose of an independent lab, which is to provide a disinterested third-party assessment. These organizations were both founded by Robert Shipley in the 1930s and undisputedly employ the most strict and consistent standards. Diamonds with reports from the AGS or GIA command a higher premium and hold their value better than diamonds from softer labs. The world’s best diamonds are typically sent to these labs. 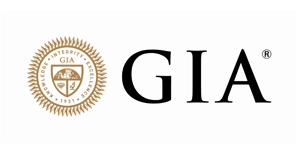 The Gemological Institute of America (GIA) has the strongest worldwide reputation for independence and consistency. The world’s largest and most valuable diamonds have been sent there for decades thanks to their constant color and clarity strictness. GIA added a two-dimensional cut grading system for round brilliant diamonds in 2006. 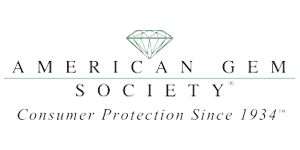 The American Gem Society (AGS) is the world’s elite cut grading laboratory. Smaller in scope than the GIA, they enforce the same color and clarity standards while focusing more strictly on cut craftsmanship and scientific light performance. From 1996-2005 they employed the only cut-grading system for round diamonds. That two-dimensional system was replaced in 2005 with a three-dimensional light performance metric that works for several diamond shapes including round and princess cut. Most common reports have no grade for cut. Others use outdated ranges or unproven systems to assign (typically liberal) grades. The vast majority of grading reports seen in mainstream markets are issued by these labs. The AGS boasts the only cut grading system recognized by the science community. Published by SPIE, the international society for optical engineering, it is the only system that is diamond-specific; evaluating angular spectrum in three-dimensions and takes different distances and tilt into account. Requirements enforced for their top cut grade in polish and symmetry stand above all other lab standards. Few diamonds are capable of earning the AGS Ideal grade, and this number falls to 1 in 100 for princess cuts. Only 2% of all diamonds are sent to the AGS for grading. Diamonds that cannot succeed there are sent elsewhere. The GIA enjoys a long-standing reputation as the global diamond grading authority. Their cut grading system, introduced in 2006, relies on a two-dimensional proportions system based on human observation studies. Their top grade of “Excellent” is in large agreement with the AGS system, though it is far wider and ranges into a steep/deep area that does not result in high performance. Approximately the best 15% of round diamonds will earn the top grade in the GIA system. Many reputable sellers carry diamonds graded by the GIA. The GIA does not yet grade cut in fancy shapes.